Oh, what would you know, just like that it’s almost bloody NOVEMBER. I’m not ready to admit that I still haven’t met this years 4637 New Years resolutions, or set next years for that fact. But I love this time of the year, it’s fresher, it’s about buying PSL’s that you don’t even drink OR like – and sweet merry lord, the Lush Halloween collection is out too. It’s better than ever. 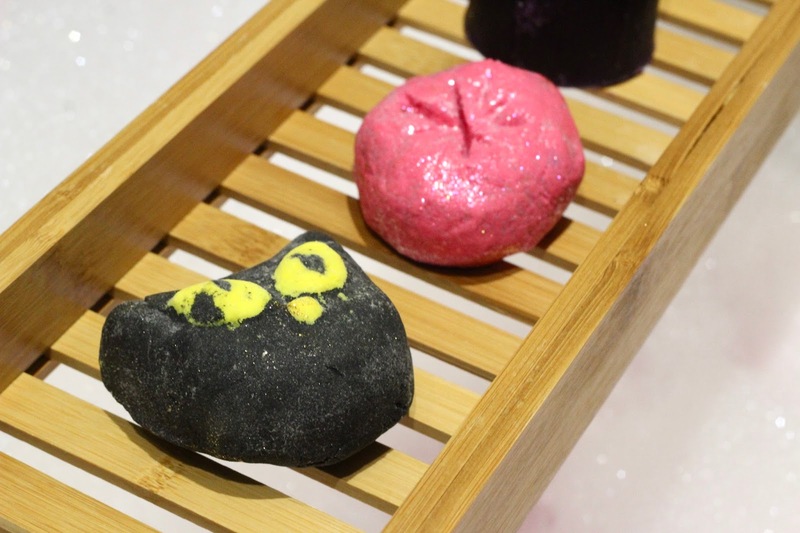 I got a little preview of the Lush Halloween and Christmas collection a couple of weeks ago at their blogger event. Aint nobody do better blog events than these guys. I’d already spotted a few returning huns from last year and some new additions that have somehow topped what they did last year. So whilst the evenings are starting to draw in, those days of leaving and coming home in the dark are on the horizon, the bathing season has started. 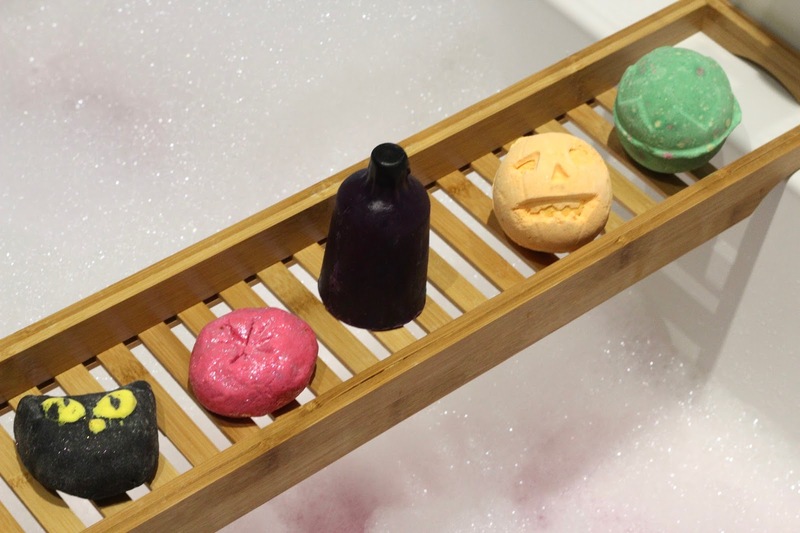 For me, you won’t want to be without these 5 Lush Halloween products this Autumn! How cute tho? It reminds me of a) lucky black cats b) the children’s TV programme from the 90s (Cat’s Eyes) and C) Salem from Sabrina, I’m smitten. Imagine having a black bath, like how Halloween and spooky is that? It’s obviously going to be my bath product of choice when the 31st rolls around. Yep, it’s the first time this one has ever graced the shelves of Lush and I hope it makes a return. Mama have mercy. It’s Twilight galore this year in Lush and I could not be more excited. I almost wet myself a bit when I realised Twilight shower gel was actually being sold in my Plymouth store, say what? I’ve always been a Twilight fan as opposed to a Snow Fairy gal and if their new twilight/sleepy additions weren’t enough, they’ve now released a Naked shower gel of Twilight. A lot of their products are now available in a naked form, removing plastic from the equation, it’s of course much better for the environment, and lasts longer too. It smells INCRED – I almost want to use it as a room scent as it’s just sooooo good. I’m not entirely sure on the ‘naked’ concept yet, I think it’s great what they’re doing and hasn’t been done before, but I’m not sure of how you would really store it or travel with it. But it is Twilight, so of course I had to have it. (Already setting my alarm for the Boxing Day sale to grab THE LOT). Why buy the orange version when there is PINK. Always pink. I’m super happy at this new addition this year that is undeniably going to go down a storm with bloggers and girls everywhere. It’s pink, sparkly and lasts a few bath times, what’s not to love about that? Pumpkin is back this year and it’s a Halloween tradition of mine. You can’t not buy Pumpkin, like it’s the law. This cute bath bomb fizzes and creates that autumnal bath colour of dreams. A comforting and sweet smell which is almost just that bit more satisfying than having a whiff of a PSL. I like it a lot. Lord of Misrule is a babe! I think this is the third or fourth year it has returned, and the smells, colours are just divine. It’s that one bath bomb that will always nail that lushie bath art for your Insta too. 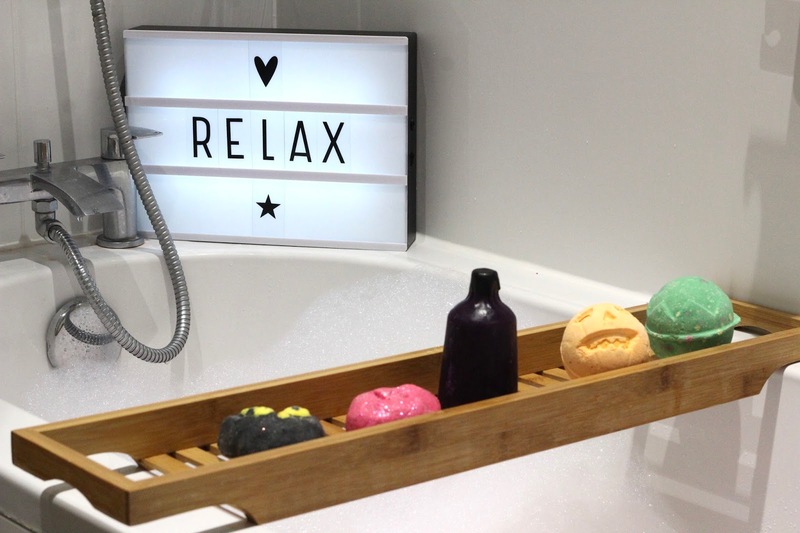 It reminds me of the theatre show Wicked with its wicked green colour, it’s only £3.95 too, so it definitely comes in at one of the more cheaper bath bombs! What are your favourite bathing products from the Halloween collection?